Apple purchased Texture earlier this year. The service, which could be thought of as Apple Music for magazines, covers upward of 200 top magazines. These can be read either in their complete form or as a series of curated articles. Texture launched in 2010 as a collaboration between publishers Condé Nast, Hearst, Meredith, Rogers Media and KKR. Compared to Apple Music’s 50 million monthly subscribers, the audience for Texture remains comparatively small — with hundreds of thousands of subscribers in total. This reflects the changing way that most people consume news and information here in 2018. Nonetheless, the service has made a few changes since Apple acquired it. At the end of last month, Texture’s Windows app closed down. Since Texture isn’t available online, either, this means Windows users will need to find some other way of accessing it. 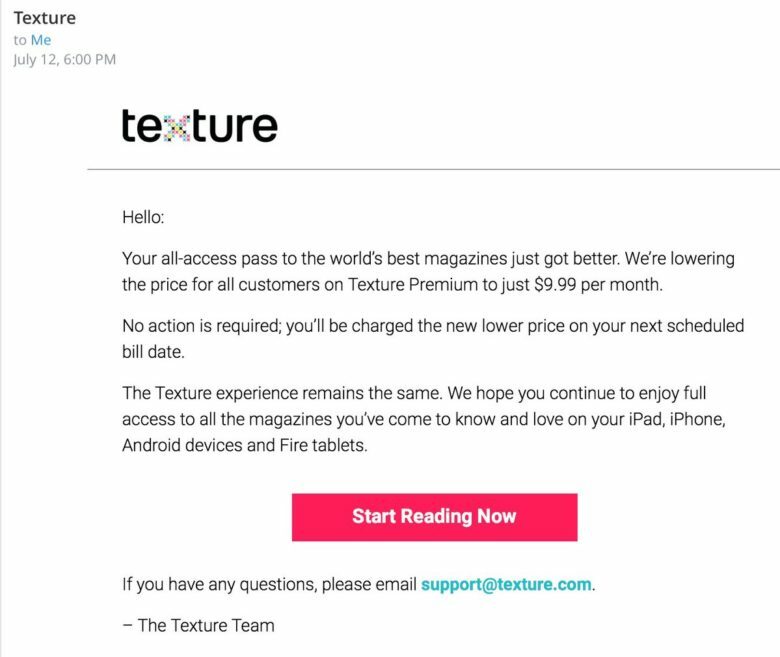 It has been rumored that Apple is looking to use Texture to launch its own premium subscription magazine service as part of the Apple News app. However, a more interesting theory is that Apple might go one step further and roll out a comprehensive subscription service that combines Apple Music, high-end magazines and Cupertino’s ever-growing slate of original TV shows into one.